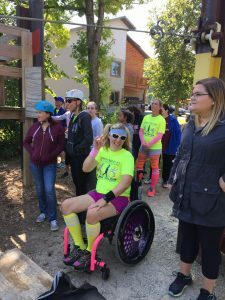 ExercisABILITIES biggest fundraiser of the year is on August 25th, 2018! This adventure filled, family frie ndly event is fully accessible for all ages and abilities to join the fun. 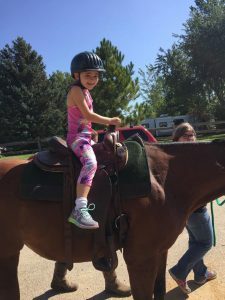 Ironwood Springs Christian Ranch offers many opportunities for ExercisABILITIES and you, our friends, to explore nature and live a bit on the wild side while getting a little exercise and maybe even trying something new! Our peer to peer format allows you to create your own fundraising goal and then share it with friends and family. Write your story of why EA is so important to you and then share it on email and social media. In addition, you can also start a Facebook fundraiser and those funds will also go toward your fundraising goal. There will be many great prizes for top fundraisers. All proceeds go to support our many programs and services at EA. 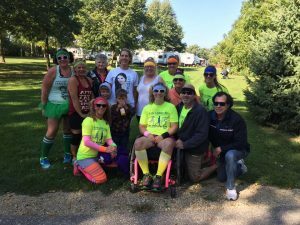 Did you know we are a 501c3 organization and depend on raised funds to keep all of our program as low cost as possible and accessible to all financial abilities? Can you help us reach our goal of raising $25,000 at this event?? Check out our fun filled day of activities! ALL activities are fully ACCESSIBLE for all! Register prior to Aug 15th and get a free T-shirt! $25.00 per person or $50 max per family (kids are free!). Register at the event from 9:00AM to 9:30 AM. Registration available at the event.